Prototype: Play mat with the worlds for the theme "Jim Button and Luke the engineer driver". Model: The trip begins ... start your adventure and travel through the worlds of Jim Button and Lukas the locomotive engineer. 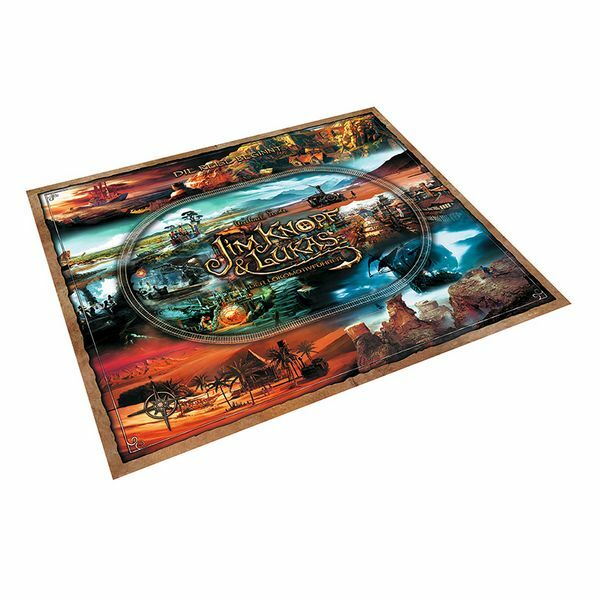 This unique play mat for the theme "Jim Button and Lukas the Locomotive Engineer" shows the different worlds through which Jim and Lukas the locomotive engineer also travel in the movie of the same name. Dive in, discover individual worlds with their characters, and experience Jim Button and Lukas the locomotive engineer's trip. Reenacting the scenes is a lot of fun with this sturdy play mat made of felt. Dimensions: 130 x 150 cm / 52" x 59". A real highlight of the Marklin Start up products for the theme "Jim Button and Lukas the Locomotive Engineer"!